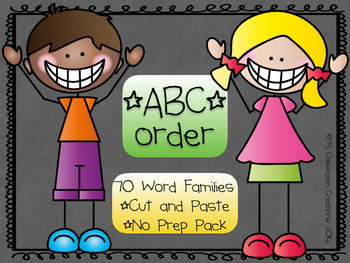 Reinforce High Frequency Words and ABC order throughout the school year with this quick NO prep packet! 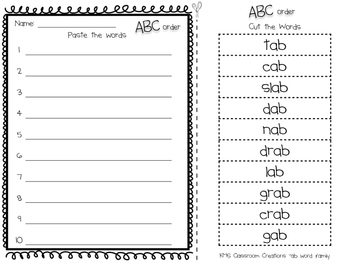 Word Work activities, along with working fine motor skills just got a lot easier. 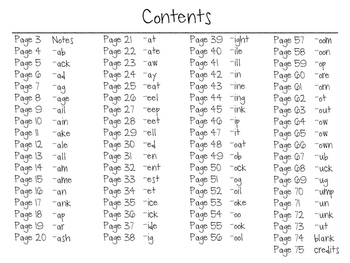 This no packet includes 70 word family lists to be used in the most convenient sequence to your instruction. 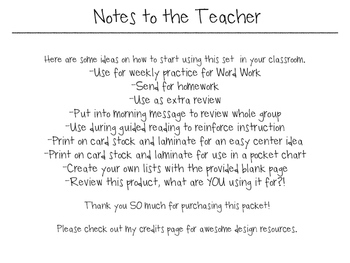 These lists are as versatile as you need them to be! Do you want even more word family practice?